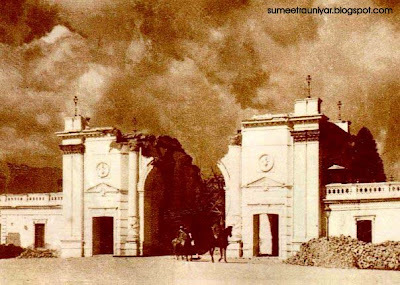 Singha Durbar (Nepali: सिंहदरवार; translation: Lion's Palace) palace was built by Chandra Shumsher JBR in June 1908. 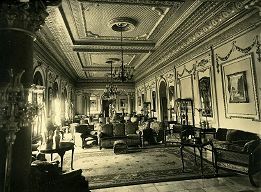 The palace used to be one of the most exquisite and lavish of palaces in the world until the 1950s. It was built by Shumsher immediately after accession to the post of Prime Minister. It was initially a small private residence, but grew bigger during the construction. Immediately after construction Shumsher sold this property to the Government of Nepal for 20 million Nepali rupee as the official residence of Prime minister. 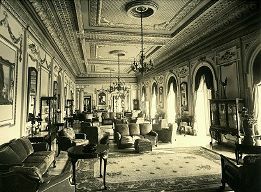 After his death in 1929, it was used as the official residence of prime ministers of Rana dynasty except Padma Shumsher JBR, who lived in his own Bishalnagar Durbar. The last Rana Prime minister to occupy Singha Durbar was Mohan Shumsher JBR. Even after the fall of Rana Dynasty in 1951, Mohan used this place, but in 1953 he was ordered by His Majesty's Government to leave the palace which became a National Property. Chandra Shumsher built a private theater and named it Gallery Baithak. It is used as a parliament building.